The surface of the Sun is a very busy place. It has electrically charged gases that generate areas of powerful magnetic forces. These areas are called magnetic fields. The Sun’s gases are constantly moving, which tangles, stretches and twists the magnetic fields. 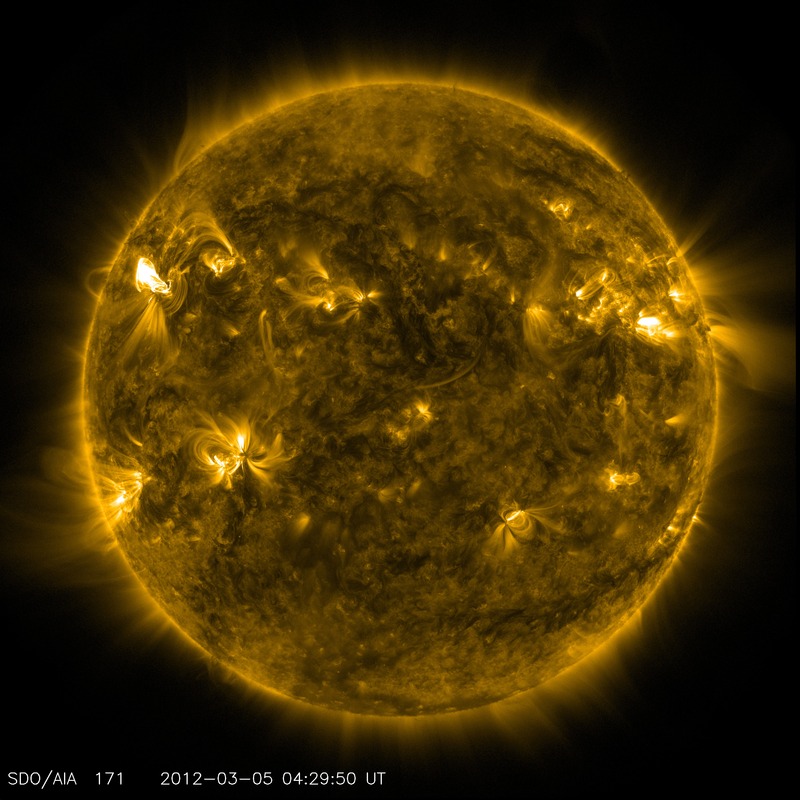 This motion creates a lot of activity on the Sun's surface, called solar activity. Sometimes the Sun’s surface is very active. Other times, things are a bit quieter. 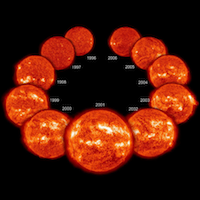 The amount of solar activity changes with the stages in the solar cycle. Solar activity can have effects here on Earth, so scientists closely monitor solar activity every day. Sunspots are areas that appear dark on the surface of the Sun. They appear dark because they are cooler than other parts of the Sun’s surface. 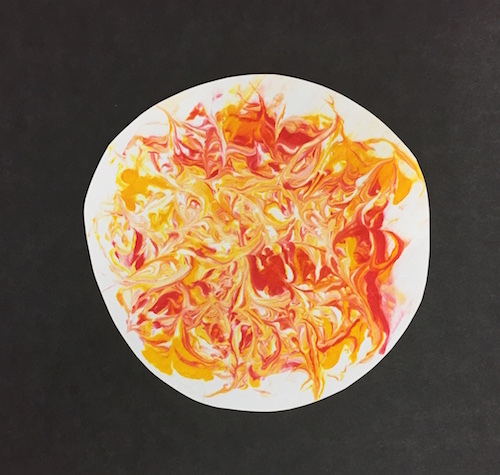 The temperature of a sunspot is still very hot though—around 6,500 degrees Fahrenheit! 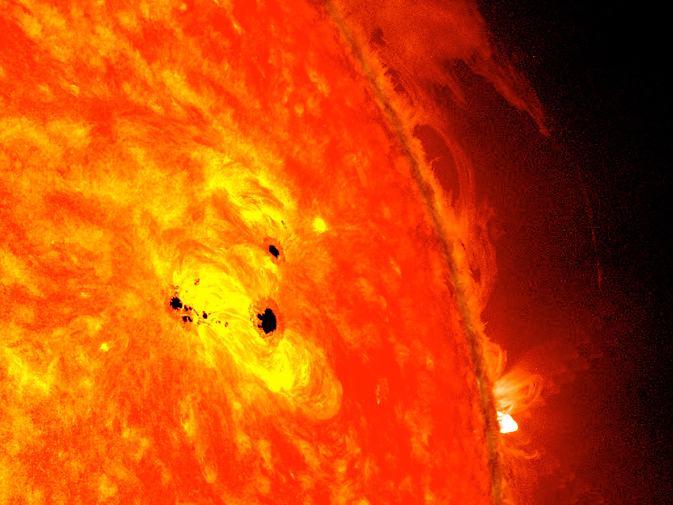 Why are sunspots relatively cool? It’s because they form at areas where magnetic fields are particularly strong. These magnetic fields are so strong that they keep some of the heat within the Sun from reaching the surface. The magnetic field lines near sunspots often tangle, cross, and reorganize. This can cause a sudden explosion of energy called a solar flare. Solar flares release a lot of radiation into space. If a solar flare is very intense, the radiation it releases can interfere with our radio communications here on Earth. Solar flares are sometimes accompanied by a coronal mass ejection (CME for short). CMEs are huge bubbles of radiation and particles from the Sun. 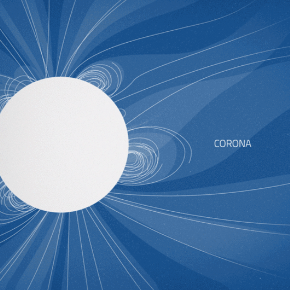 They explode into space at very high speed when the Sun’s magnetic field lines suddenly reorganize. When charged particles from a CME reach areas near Earth, they can trigger intense lights in the sky, called auroras. When particularly strong, a CME can also interfere in power utility grids, which at their worst can cause electricity shortages and power outages. Solar flares and CMEs are the most powerful explosions in our solar system.